Hey everyone, my name is Tori and I’m a first year hoping to major in business and minor in global sustainability and I’m from Springfield, Virginia. Coming from the great, almost-state of Northern Virginia I am quite used to people freaking out when there are no more than tiny flurries coming down from the sky. When there is even the hint of snow out-come the plows and the salt trucks, the lines at the grocery stores are endless, and schools are closed at the drop if a hat. It is both ridiculous and glorious at the same time and I have gotten used to many snow days throughout the winter. Counted on them in fact. Snow days were what got me through the endless days of January and February. In college however, word on the street seemed to be that snow days were extremely rare. While all the first years in my early morning Italian class were convinced that class would most certainly be canceled (They don’t actually expect us to walk out in the snow to all our classes, right? ), the lone second and third years were not nearly so optimistic. 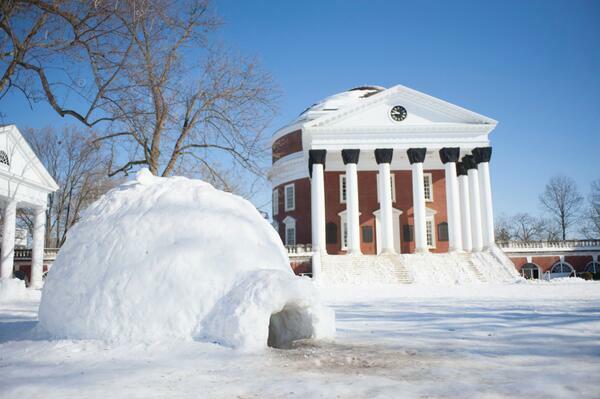 UVA didn’t have the best track record for canceling class, they said. Don’t hold your breath, they said. Low and behold, the snow started to fall in glorious white sheets and the news that everyone was hoping for came: class was canceled! The shrieks resounded down the hallways of my dorm, confirming the news. Here Comes the Sun? Please? When snowflakes start to fall, instilling a sliver of hope that whatever class or meeting you dread will get cancelled, this first question you have to ask yourself is “Will it stick?” Because let’s be honest – snow may be pretty when it stays on your nose and eyelashes, but it basically means nothing unless it sticks to the street. And let me tell you, this month it stuck big time. 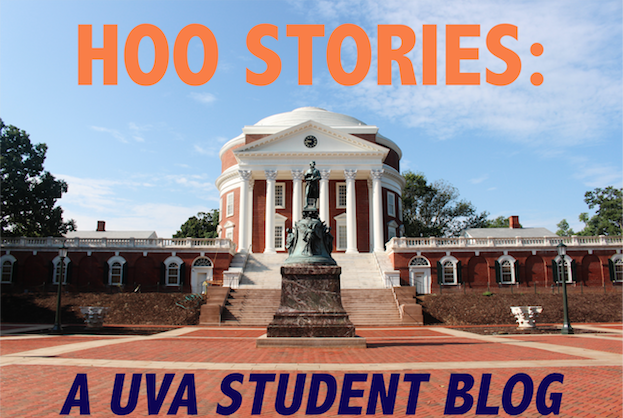 Starting in the late afternoon of Wednesday, February 12th and continuing into Thursday, the students and faculty of UVA witnessed over ten inches of snow accumulate. This resulted in two whole days off of school on Thursday and Friday after tireless waiting around for the school officials (not just Dean Groves and his awesome tweets) to give us the official word. Sledding, snowman and igloo building, and all-around frolicking ensued. A winter wonderland it was! Fast forward to the following weekend, at which point the snow has sufficiently melted. I head out of my house to walk to JPJ for the basketball game against Notre Dame on Saturday, February 22nd when… what is this? 60-something degrees? That’s right – just one week after a massive snowstorm resulting in a momentous four-day weekend, we experienced beautiful, sunny, and even warm weather. The lawn was packed once again, but this time with students tossing Frisbees, pretending to get work done, and watching the families that came by with their dogs and cute kids. I even saw a secret society perform a ritual! Least productive day? I think so. Needless to say, the month of February has had its fair share of temperature fluctuations. Since then, the air has gotten colder with small, random flurries here and there and even another snow day today, March 3rd. As spring approaches, there’s no telling what Charlottesville weather has in store for us, but all I know is that I’m going to Florida for spring break next week. 80 degrees here I come!